Based in St Martins in North Shropshire, right on the border with Wales, TW Plant Sales Ltd are perfectly situated near Oswestry to serve the needs of commercial and domestic clients throughout Shropshire, North Wales, West Wales, Powys and South Cheshire, Ceredigion, Gwynedd, Denbighshire, Flintshire, Hereford and worcester, Pembrokeshire, carmathenshire, Isle of Anglesey,and all around the uk. We have new and used construction plant machinery available for purchase, a vast stock of excavators with minimum working hours on the clock to old work horses that need a loving home for their twilight years. 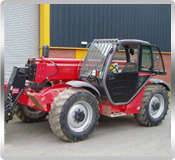 Please do not hesitate to contact us directly for more information on any of the machines you see on our website (also if you have specific requirements we are best suited to enquire on your behalf to source plant machinery).